Most likely, you’re here because you want to get smarter by learning another language. Or, perhaps you’re here because you’re a teacher or homeschooler and you’ve heard that kids SHOULD know Latin. Or, perhaps you need help with English acquisition. I read a great article this week that I want to summarize for you because, before you leave today, you’ll have a clear vision and understand three ways in which learning Latin can help you! Now ironically, I’m retired in Mexico and learning a language completely based in Latin! Learning Latin would certainly help any of us learn Latin derived foreign languages, like Spanish, French, and Italian. Our kids, and us, will be better served by unlocking a better understanding of our own native language. 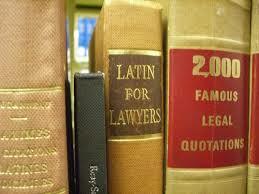 Acquiring a knowledge of Latin will help you with complex English words you may never have seen. And, for those whose first language is other than English, a knowledge of Latin might make learning English a bit easier! 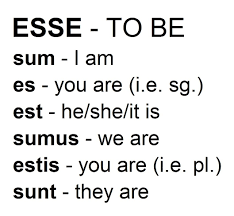 As with vocabulary, Latin will help to acquire and understand English grammar. How? You ask. After all, the rules are as numerous as confusing, even for those of us with English as a first language! Let’s think about it. To begin, what is grammar? It’s knowing the “job” of each word and knowing how to put them together into meaningful sentences. The job could be: noun, verb, adjective, direct objects, conjunctive phrases, nominative vs. objective nouns, etc. Grammar is the “RULES” we have come to know, love and understand … or at least to use. Frankly, many of us learn more about our own language by learning a second, or third or fourth one, more than we ever learned studying our native tongue. Getting grammar right is difficult because it is descriptive, not prescriptive; therefore, there are not only many rules, but also many exceptions to those rules! We oftentimes need to use sentence diagrams to fully understand proper structure. Latin, thankfully, has few exceptions. That regularity is great assistance to learning Latin language. Critical Thinking: Who doesn’t need a little improvement here? We’re coming off a generation where adults helped kids make decisions all day long. Decisions got made, but did critical thinking skills develop? And why do sciences, medicine, and law continue to use Latin words and phrases? The complexity of language helps the brain work. Much like mathematics, science, medicine, and law, complex thoughts, formulas and ideas make up that form of curriculum. Math is a good thinking skills subject, not only because it is complex, but because it always follows the rules. When we think, we are analyzing and synthesizing, that is making distinctions and finding similarities. Even in making simple decisions, like what to have for breakfast, we are analyzing the choices and singling out the best choice, what sounds the best at the time, perhaps. Putting words together will also require us to make choices and decide what sounds best for our situation, using the right vocabulary and following the appropriate grammar rules. Vocabulary, grammar, and thinking skills. What other subject in the curriculum does so many things? You can probably now see the benefits to learning the Latin language. For more examples and technical description, I encourage you to read the complete article 3 Reasons to Study Latin by Martin Cothran. Have you studied Latin before? Share your experiences with the followers of this blog in the comment section. Happy language learning! Learning a new language is so difficult but it does help you understand and use your first language. I teach bi-lingual and tri-lingual children and I am truly jealous of their gift of language. 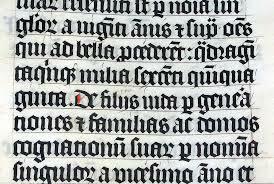 I remember studying education in school that a large portion of our language is Latin based. A great article is why learning languages are important as well as how Latin is so important. What a blessing to work with bi- & tri-lingual children! Thank you for taking time to comment.